Ever judge someone and not even mean to do it? If you consciously said “I’m not judging”, then your already judging. I believe judging is something we all do, because we are all human and flawed. We all have defense mechanisms and automatic responses. It’s not even realistic to think,that you could be judge free 100% of the time. Sometimes we judge people because they do something that triggers a bad feeling in us. Other times, we judge them because we’re jealous, or our ego is taking over. What if the next time you felt yourself heading towards judgement, you turned it into love? What if your answer to everything was love? There is so much negativity right now in the world, that it needs more light. It needs less critics, and more motivators. We need to put our love out there, and throw our judgements in the trash. The next time you want to judge someone, I have a challenge for you. Step back, take a deep breath and pretend your that persons mother. You will Immediately go to different place, one that’s full of compassion. 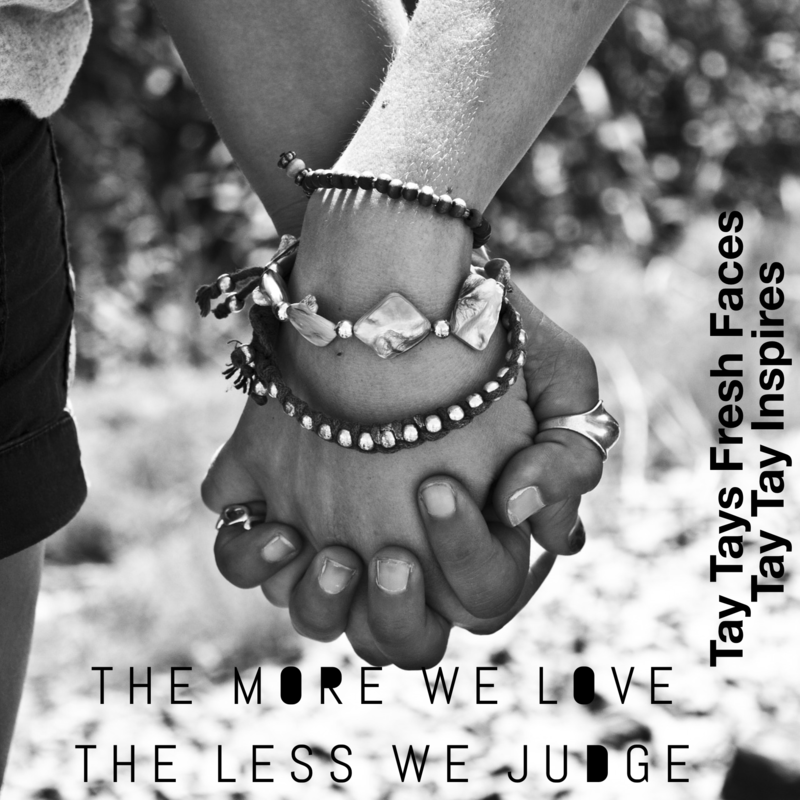 Can you love more and judge less? Get right on the inside and you will feel the change…..